Don’t let dust bunnies have all that lovely slice of space under the bed. Use it to stretch what little space you have in the bedroom. Tuck flat drawer units or organizers under the bed to keep all your things neat and organized. You can use the space under the bed to store a variety of things. Seasonal sports gears, sportswear, extra sheets, etc., all these items can be stashed under the bed. IKEA has a great selection of under bed storage solutions that are affordable and stylish. If say, you have no space under the bed, you can always raise the bed frame or get a bed with built-in under bed storage. Are you making the most out of your closet space? Check your closet and sort your stuff. Curate your closet and decide which items to keep and which ones to store in the basement (or donate). After you’re done curating, arrange your closet according to how often you use certain items. Your daily essentials should be the easiest to access. 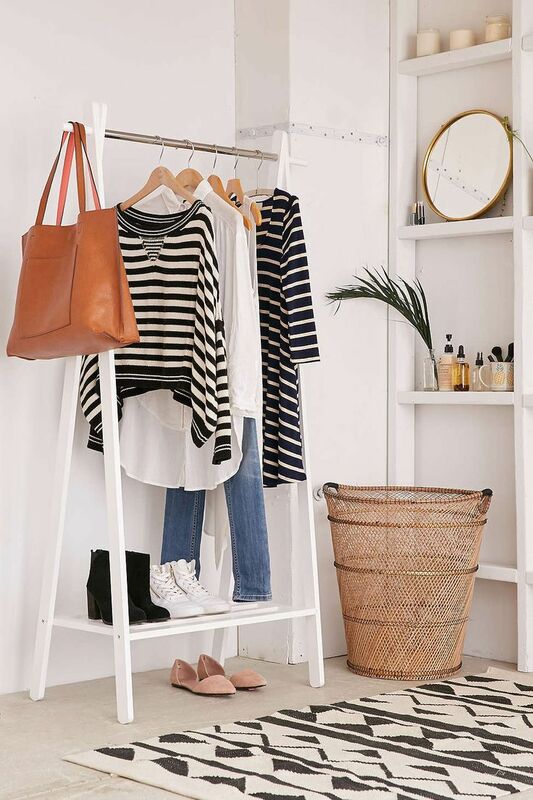 Tiered racks, hooks, and laundry bins will come in handy when organizing the closet. Keep all your clothing staples on an open shelf so you can see them all the time. For clothes that do not fold well, use a slide out tie rack or wire shelving systems to hang these items. 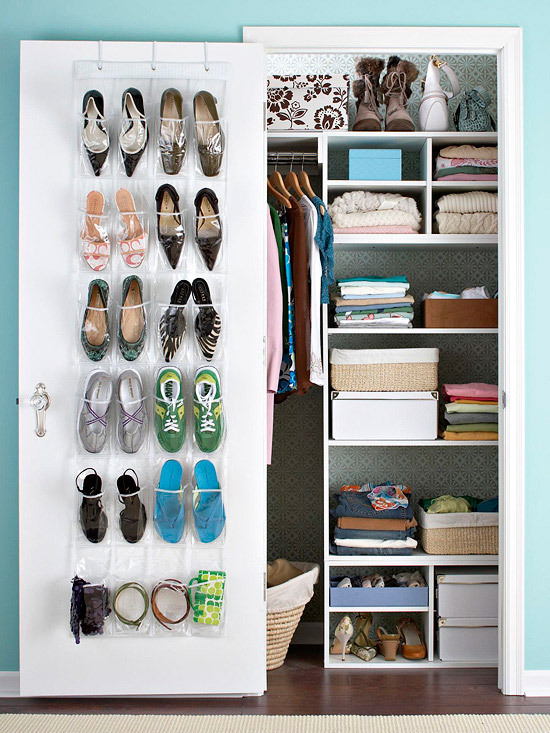 Use different cubbies to sort your shoes. All your favorite shoes should be front and center while out of season items should be tucked at the back. The same thing goes for your bags, undies, hats, outerwear, and belts. Everything else you don’t need right now can be kept in deep storage. If your closet is too tiny, consider getting a wardrobe rack. Use it to hang all your favorite pieces on display while freeing more room for basics and bulky pieces in the closet. Wayfair has an elegant collection of wardrobe racks to choose from. 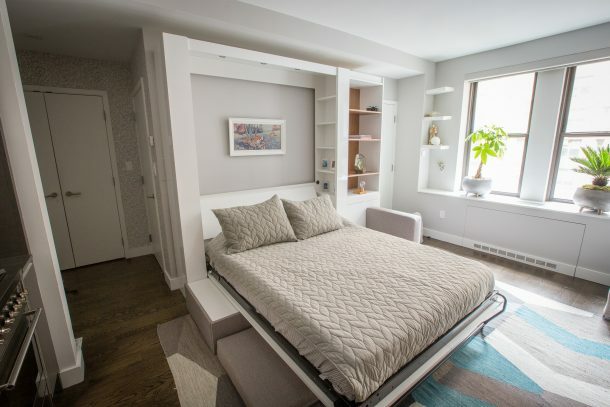 One of my favorite apartment hacks for teeny tiny rooms is to maximize the vertical space. Installing a couple of floating shelves on a blank wall magically expands a room’s storage space. You can install near the closet, above the door or on any blank wall. You can use all that free space to display your favorite items, organize knickknacks or put characteristic objects on display. Furniture that pulls double duty may be more expensive but the added convenience and practicality is worth the extra $$$. But if say, the budget doesn’t allow for these items, just make your existing furniture work harder for you! 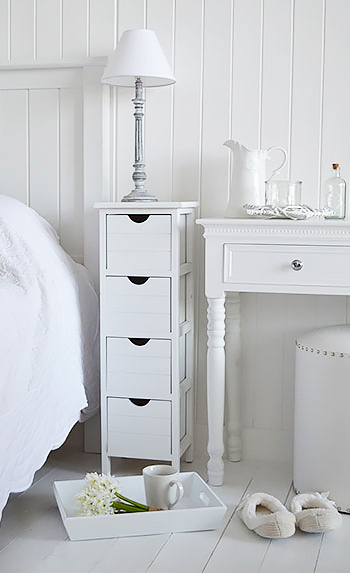 For instance, get a bedside table that offers more storage space. Use the extra storage to keep your books, magazines, chargers, etc. neat and organized. 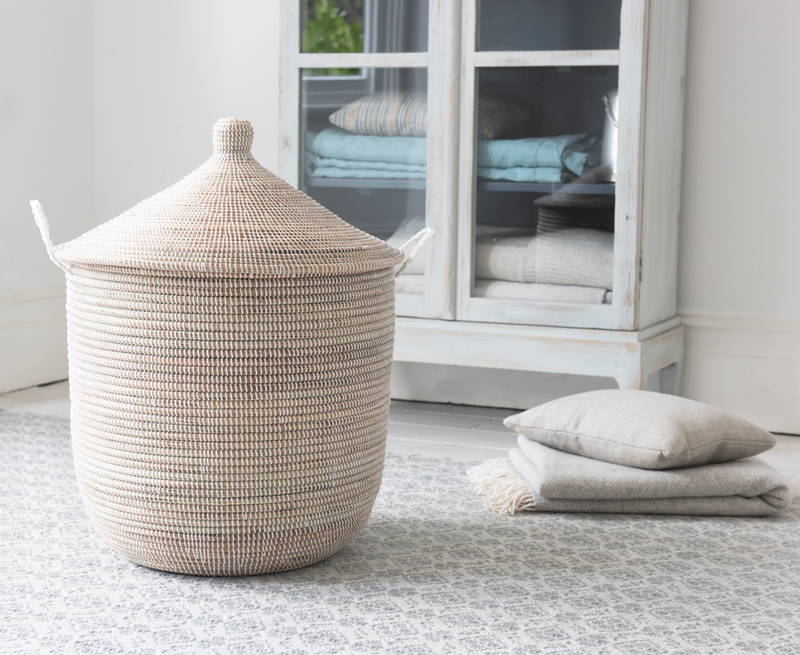 Make the most out of your bookcase by adding baskets and bins to keep small items out of sight. You can also transform an old bookcase into a wardrobe. 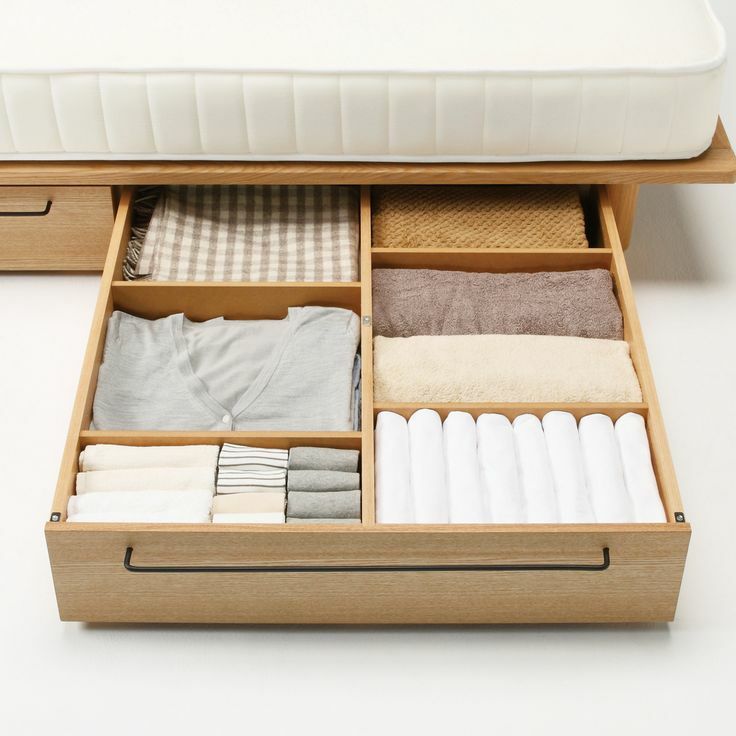 Organize your dresser, optimise drawer spaces by inserting dividers, etc. Use tall and slim pieces of furniture because they have a small footprint. 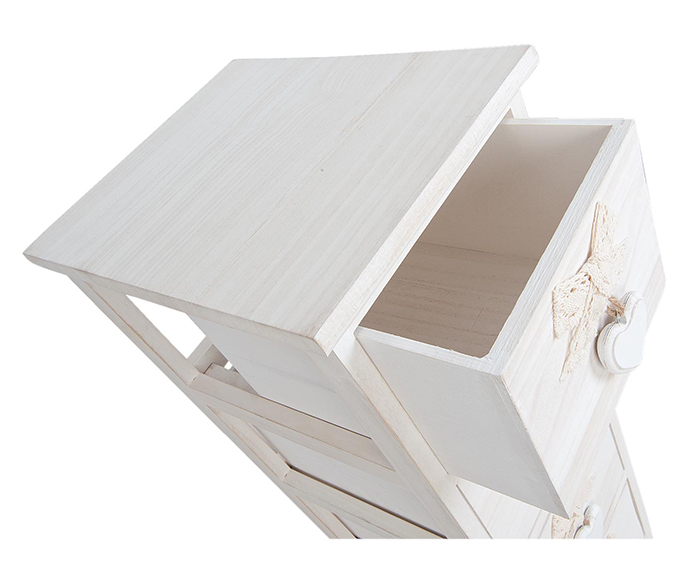 These pieces offer more storage space for your knick knacks without wasting all that precious floor space. 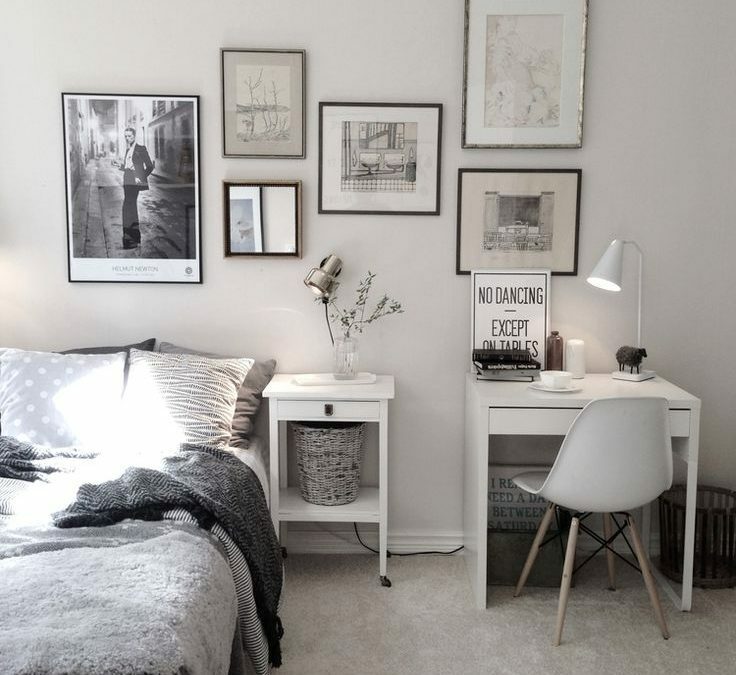 Narrow furniture also makes a small bedroom look positively larger. You can’t get much rest if your bedroom is messy! If you’re tired of wading through piles of dirty laundry, pick your clothes and clear the floor. The bedroom will look much better. To keep your bedroom looking neat and organize, dedicate a spot for your discarded clothes and garments that need dry cleaning. All the dirty clothes go in this specific spot, not anywhere else in the room. 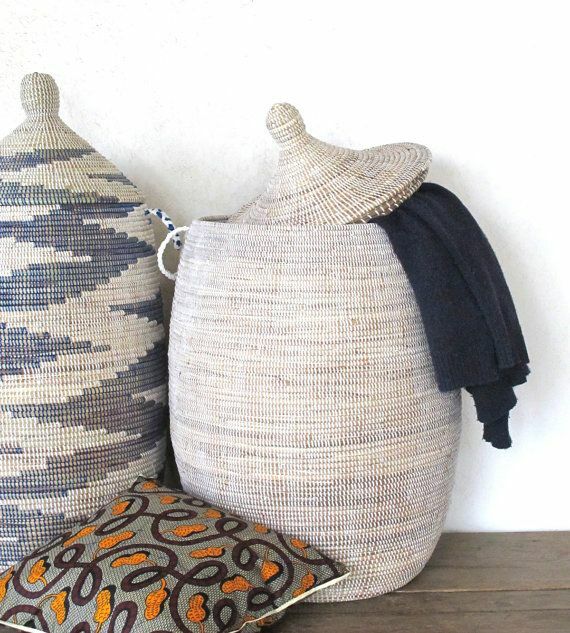 And in case a plain hamper won’t do, here is a simple tutorial on jazzing up a plain hamper. Since the heaps of clothing are contained in just one spot, you’re not wasting precious floor space on discarded clothes. You can use the clear floor to extend your storage space. When it comes to maximizing all that wall space, mountable shelves are your best bet. Wall mount shelves add functionality and flexible storage anywhere in a room. 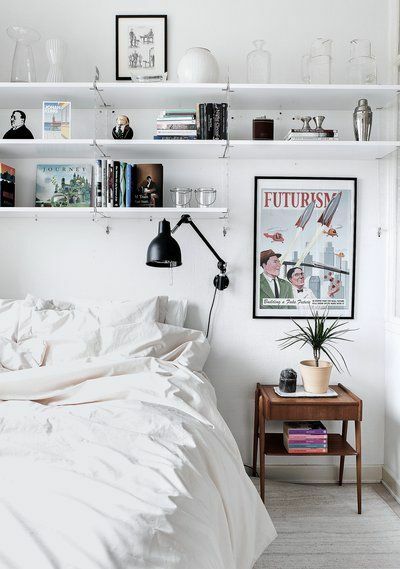 Just install a couple of shelves above the bed and use all that space to keep your sleep quarters neat and tidy. 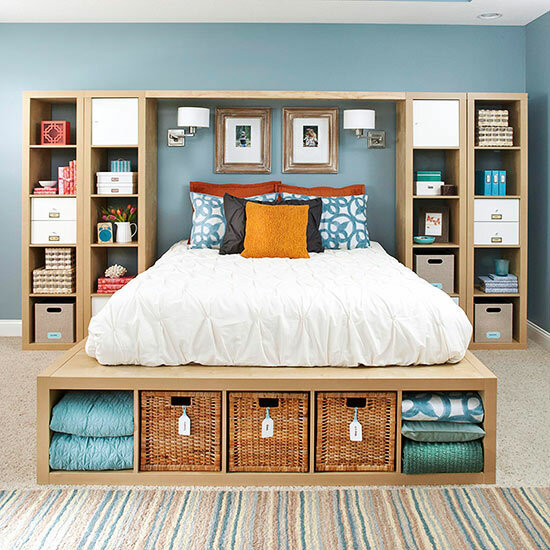 You can also get a customized shelving system built around the bed for maximum storage space. Sleek and slim furnishings are a must for tight spaces but if your vanity or side table is taking too much room, it needs to go. You can use floating shelves as a sub for a bedside table, a desk, or a vanity. They’re just so versatile! 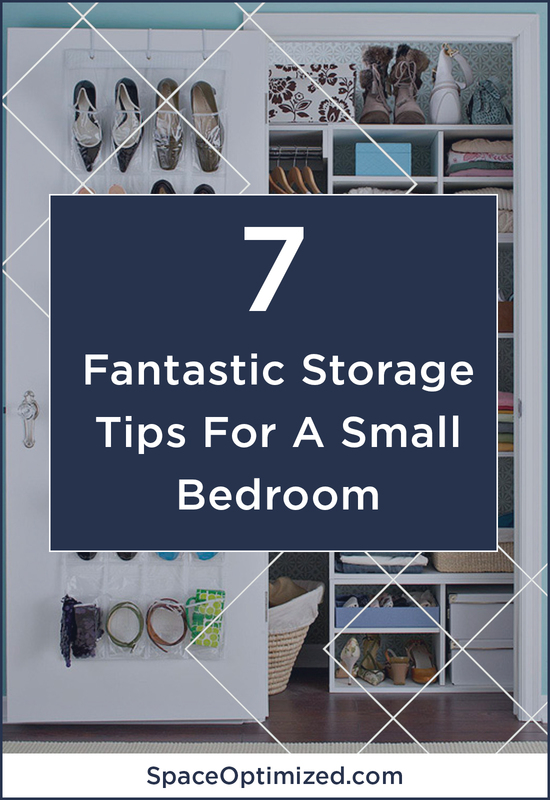 Awkward spaces can be used to free up more storage space! This goes especially in the bedroom. 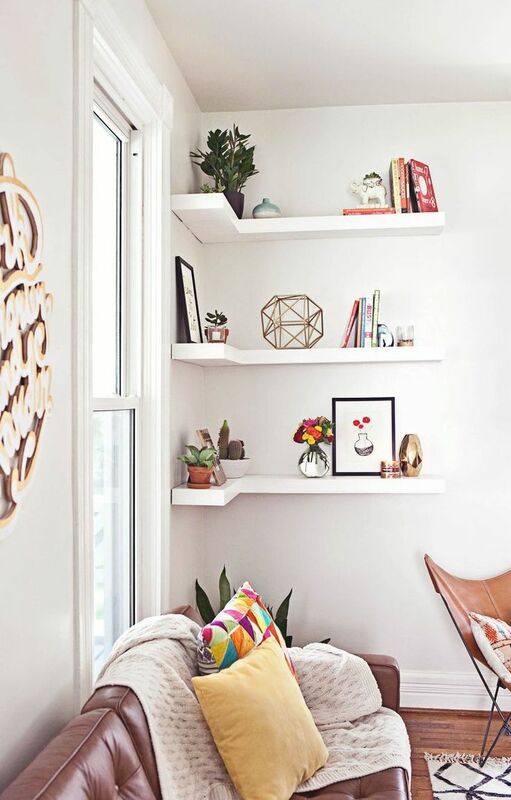 Some of the best apartment hacks for optimizing room corners are corner shelves. Corner shelves don’t take much space than your average wall shelving but they are just as useful. If you’d like to add a home office in the bedroom, you can also use these awkward spots to build one. And if staring at a wall crevice while working bothers you, hang funky artworks on the wall so you have something pretty to look at.